Samsung is all set to launch the new Galaxy Note 8 smartphone on August 23rd in New York in an official event. As we are approaching for the launch event we are also expecting the company to launch multiple devices in the event which includes the Note 8 and Galaxy C7 2017 smartphone and the Samsung W2018 flip phone as well. 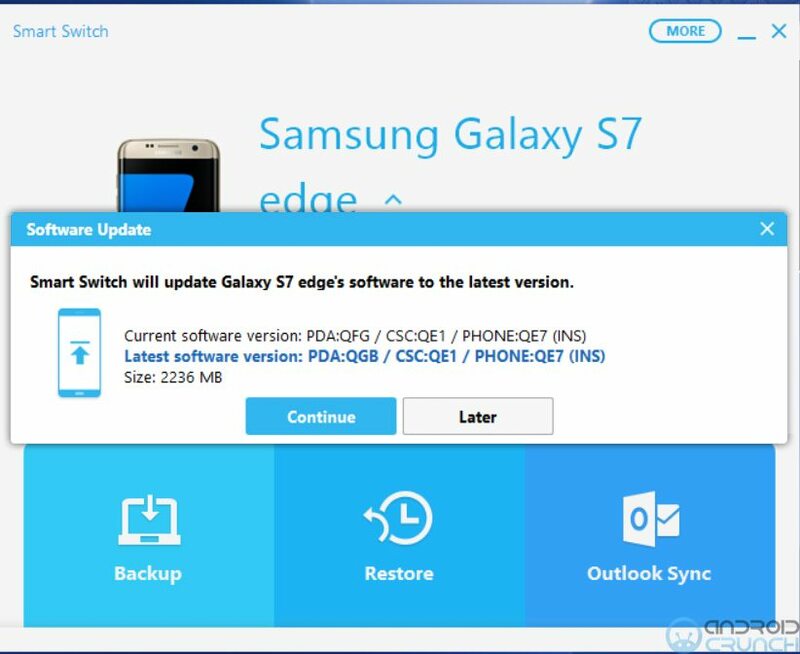 Meanwhile, Samsung has started seeding the July security update to the Galaxy S7 Edge units in India but we are not sure if its available for the Galaxy S7 owners also or not. Interestingly, the update is available with the help of Smart Switch only as we tried getting the update OTA via settings of the phone but haven't got the update there. This update is of more than 2GB size as we are downloading it via the Smart Switch however, it will be around 200MB OTA and will be available soon for the device. 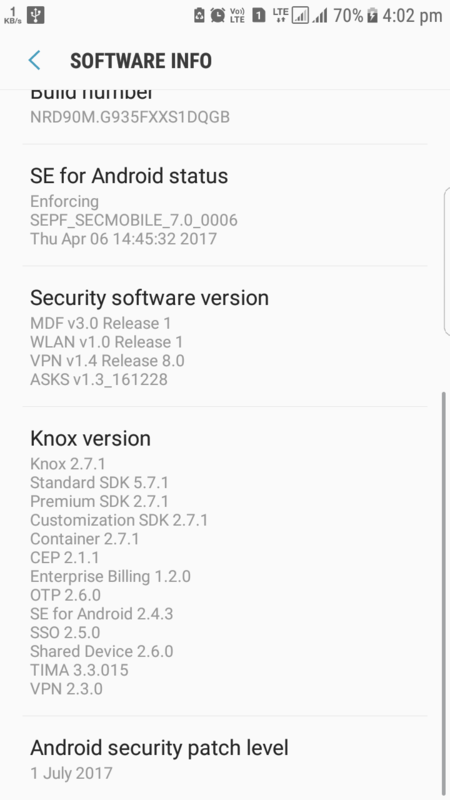 The new update bumps the device build number to XXS1DQGB and comes with bug fixes, new and enhanced features, performance improvements and other improvements. To recall, the Galaxy S7 Edge was launched with a 5.5-inch QHD Super AMOLED display and is powered by Samsung’s octa-core Exynos 8890 SoC. It has 4GB of RAM and 32GB inbuilt storage capacity with up to 256GB expandable MicroSD card storage with the help of Hybrid Dual SIM. The Galaxy S7 Edge features a 12-megapixel Dual Pixel rear camera with f/1.7 aperture, smart OIS and a 5-megapixel front camera with f/1.7 aperture. It runs Android 6.0 Marshmallow OS and comes with IP68 rating for dust and water resistance. It is backed up by a 3600mAh battery. The Galaxy Note 8 is expected to launch with a 6.3 inch edge-to-edge AMOLED display with 18.5:9 aspect ratio and is similar to the current Samsung Galaxy SS series flagships Galaxy S8 and S8+. The Galaxy Note 8 will be powered by the Exynos 8895 and Qualcomm Snapdragon 835 processor and the device will have 6GB of RAM. It will run on the Android O 8.0 OS out of the box and might feature Hybrid Dual SIMs in some regions. The Galaxy Note 8 will be the first Samsung phone to feature a dual camera on the rear side with two 12-megapixel sensors and will have independent optical image stabilization for the lens.